Despite great opportunities, alcohol nearly ended her life. Early member, she spread the word among women in our pioneering period. It didn’t stop there. They knew what to do about those black abysses that yawned ready to swallow me when I felt depressed, or nervous. There was a concrete program, designed to secure the greatest possible inner security for us long-time escapists. 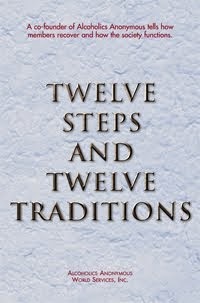 The feeling of impending disaster that had haunted me for years began to dissolve as I put into practice more and more of the Twelve Steps. It worked! Moments of perception can build into a lifetime of spiritual serenity, as I have excellent reason to know. Roots of reality, supplanting the neurotic underbrush, will hold fast despite the high winds of the forces which would destroy us, or which we would use to destroy ourselves. In every relationship, we don’t always handle things the way we would have hoped. But friendships don’t have to end when we make mistakes; instead, we can make amends. If we are sincerely willing to accept the responsibilities involved in friendship and make the amends we owe, those friendships can become stronger and richer than ever. Making amends is simple. We approach the person we have harmed and say, “I was wrong.” Sometimes we avoid getting to the point, evading an admission of our own part in the affair. But that frustrates the intent of the Ninth Step. To make effective amends, we have to keep it simple: we admit our part, and leave it at that. There will be times when our friends won’t accept our amends. Perhaps they need time to process what has happened. If that is the case, we must give them that time. After all, we were the ones in the wrong, not them. We have done our part; the rest is out of our hands. Just for today: I want to be a responsible friend. I will strive to keep it simple when making amends. People believe in A.A. when they see it work. An actual demonstration is what convinces them. What they read in books, what they hear people say doesn’t always convince them. But when they see a real honest-to-goodness change take place in a person, a change from a drunkard to a sober, useful citizen, that’s something they can believe because they can see it. There’s really only one thing that proves to me that A.A. works. Have I seen the change in people who come into A.A.? Divine control and unquestioning obedience to God are the only conditions necessary for a spiritual life. Divine control means absolute faith and trust in God, a belief that God is the Divine Principle in the universe and that He is the intelligence and the Love that controls the universe. Unquestioning obedience to God means living each day the way you believe God wants you to live, constantly seeking the guidance of God in every situation and being willing to do the right thing at all times. I pray that I may always be under Divine Control and always practice unquestioning obedience to God. I pray that I may be always ready to serve Him. Too often, I think, we have deprecated and even derided projects of our friends in the field of alcoholism just because we do not always see eye to eye with them. We should very seriously ask ourselves how many alcoholics have gone on drinking simply because we have failed to cooperate in good spirit with these many agencies–whether they be good, bad, or indifferent. No alcoholics should go mad or die merely because he did not come straight to A.A. at the beginning. Our first objective will be the development of self-restraint. This carries a top-priority rating. When we speak or act hastily or rashly, the ability to be fair-minded and tolerant evaporates on the spot. Faking it, and then making it. Finding the Spirit of the Thing. We’re sometimes advised to “fake it until you make it.” But how can anything false really lead us to recovery? Aren’t we told that this is an honest program? We’re not being dishonest by pushing ourselves to become actively involved in AA. The self-help movements have told us for years that we have to form an image of what we want to be in order to reach our goals. We are forming an image that corresponds to the sober people we want to be. 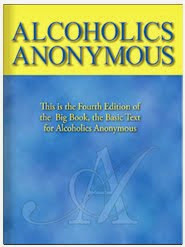 We are actually rehearsing sober living and working to accept a picture of sobriety in our heart of hearts. There’s also much to be said for “faking it” enough to attend meetings and try to benefit from association with people….. even those we don’t like. This puts us in line for the change we really need. A lot of members say that they “white-knuckled it” during the first months or years of sobriety. If this worked to bring recovery, it had to be the right approach. Even if there is rebellion within, today I’ll talk and act like the sober person I want to be. One meets his destiny often on the road one takes to avoid it. None of us, perhaps, ever thought we’d end up in recovery. But we were working at joining recovery years before we got here! Maybe recovery was our fate from the day we first took a drink or a pill. Others around us could see the writing on the wall, but we couldn’t. We were to busy trying to avoid the pain. Alcoholism and other drug abuse have to do with us trying to find spiritual wholeness— the kind of spiritual wholeness we’re finding now. . .in recovery. So, let’s welcome recovery into our lives. We have found our spiritual home. Prayer for the Day: Higher Power, I got lost because I acted like I knew the way to a good life. You lead the way. Thank-you for putting me on the right track. Action for the Day: Today, I’ll think about why it’s my fate to be in recovery. I will list ways that I try to avoid my fate. A language for the world is music. It unites all peoples, cultures, religions and backgrounds; it points man beyond himself, while at the same time breathing through him God’s glory. Music makes man wonder, enables him to dream, allows him to rest in the miracle of creativity. Drugs stopped me from appreciating the gift of music. They twisted and corrupted sounds and made them destructive and coarse. Drugs took from me so much and left me with a feeling of utter emptiness. In my recovery I can hear again. My spiritual program incorporates music, different types of music, the inexhaustible joys of melody. I can feel in it, through it, with it – another miracle. Thank You for the gift of music that enables me to grow in my understanding of self and my need of others. As I Attend meetings of The Program, my eyes open wider and wider. Other people’s problems make mine look small, yet they are facing them with courage and confidence. Others are trapped in situations as bad as mine, but they bear their troubles with more fortitude. By going to meetings, I find many reasons to be grateful. My load has begun to lighten. Do I expect easy solutions to my problems? Or do I ask only to be guided to a better way? Make The Program my way of life. Its goals are my goals. Its members are my truest friends. May I pass along the skills for coping I have learned there. May my turnabout and the resulting transformation in my life inspire others, as others have inspired me. Compulsive overeating is not a moral dilemma. It is not about “right” or “wrong.” It is not a black-and-white situation. I learned at a pre-verbal stage that compulsive overeating is a coping mechanism. When I cried to be held, I was fed. When I cried because I was wet, I was fed. When I cried because I was in pain, I was fed. When life was good, I was fed. Is it any wonder I came to reach for food when life was happening around me? This program teaches me better ways to cope with life. Instead of reacting to life, I have learned through the Steps how to take action. I did not choose this disease, but I do choose recovery. Through the help of my Higher Power, the program, and other program members I can recover. I can live in the solution one day at a time and one meal at a time. One Day at a Time . . . I will have a program. I choose recovery, health, love and life. The Elders say everything has a purpose and everything has a will. We should never interfere with purpose or the will of everything. Every plant, creature, animal, insect, human being has a purpose to be here on the Earth. Each has a special medicine to contribute for the good of all things. Each person also has good medicine, a special talent, a special gift. These medicines are to help others or to help make us healthy. What is your special medicine? Creator, today, help me discover and use my medicine to serve a greater good. Intuition is a spiritual faculty and does not explain, but simply points the way. Should we make this move? Should we change jobs? Should we talk to others about our feelings? We are seldom short on prayers when we’re filled with fear and indecision. We are, however, short on answers. Our worries block them out. No prayer ever goes unanswered. Of this we can be certain. On the other hand, the answer may not be what we’d hoped for. In fact, we may not have recognized it as the answer because we were expecting something quite different. It takes willingness on our part to be free of our preconceptions–free to accept whatever answers are offered. Our answers come unexpectedly, a chance meeting on the street, a passage in a book or newspaper, a nagging feeling within. God speaks to each of us throughout the day. Our prayers are answered, our problems find solutions, our worries are eased, if we but attune ourselves to the messages. They are all around. I will be attentive to all the signs from God today. Whatever answer I seek is finding its way to me. When we take the first drink, we invite the dead certainty of physical illness, untold sorrows, shame and degradation. That first drink has built more hospitals, jails, poorhouses and insane asylums than any other cause. All the drinks that follow are simply compounding the felony. There are some people that can drink intelligently, but these people avoid difficulties. We are not in that class, and experience has proven it. Years of sobriety will not enable us to join that class and, again, experience has proven it. Why do you persist in trying, what are you trying to prove? That you are the exception to the rule? If you are the exception, you automatically become a freak. With no thought of gain. One should not pray or meditate with any thought of gain. Hold no expectations. Then the rewards will come. If one strives for power and gifts, no true results will come, and one will become lost in lust. Praying for results brings no results — the true spirit appears only when there are no expectations to hamper it. Books and teachings talk of the results of meditation because they prepare the aspirant for the experiences that will occur. It is important not to look on these writings as advertisements. They are merely descriptions of what you will encounter. Sit down with no thought of results and you will go naturally and spontaneously with Tao. It is admittedly a paradox. We are to know what to expect, and yet we should allow them to appear as they will. It seems irrational and inefficient. Yet if you would know Tao, there is no faster way to enter the midstream. Enlightenment -- that magnificent escape from anguish and ignorance -- never happens by accident. It results from the brave and sometimes lonely battle of one person against his own weaknesses. -Bhikkhu Nyanasobhano, "Landscapes of Wonder"